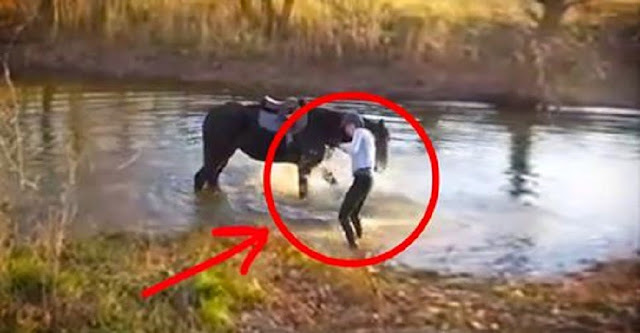 WATCH: Her Horse Was Afraid Of The Water. So She Did Something Really Amazing For Him. Sometimes animals get spooked for reasons we’re not really aware of. It can be tricky to train an animal to overcome their fear. What’s interesting about horses is that they cannot see things directly underneath their heads. When approaching an unfamiliar area or terrain, it’s been suggested that the horse be allowed to lower its head, letting it get closer to the ground to see what’s going on.